Reuters – IBM Chief Executive Ginni Rometty pledged to hire and train workers in the United States as she and other technology executives prepared to meet on Wednesday with U.S. President-elect Donald Trump. “We expect to end 2016 with our U.S. workforce about the same size as it was at the beginning of the year. By 2020, we expect it to be larger than it is today," Pratt said. 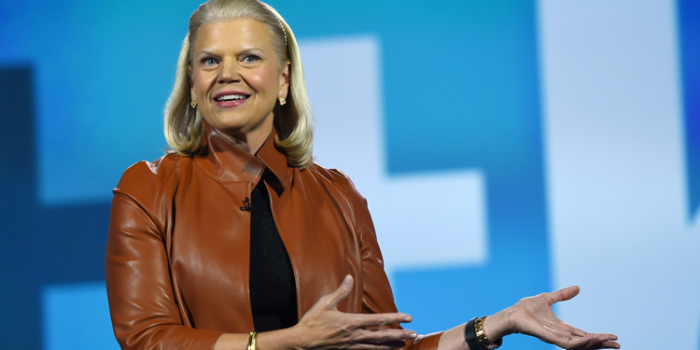 IBM had nearly 378,000 employees at the end of 2015, according to the company's annual report. While the firm does not break out staff numbers by country, a review of government filings suggests IBM's U.S. workforce declined in each of the five years through 2015. "We are hiring because the nature of work is evolving," she said. "As industries from manufacturing to agriculture are reshaped by data science and cloud computing, jobs are being created that demand new skills – which in turn requires new approaches to education, training and recruiting." Trump will host the top tech company executives at his Manhattan tower on Wednesday. Tech luminaries, including Apple Chief Executive Tim Cook, Facebook Chief Operating Officer Sheryl Sandberg and Tesla Motors Executive Elon Musk, will seek to find common ground on economic issues at the roundtable. The meeting, organized by Trump son-in-law Jared Kushner, Republican National Committee Chairman Reince Priebus and PayPal Co-founder Peter Thiel, is billed as an introductory session, four sources briefed on the talks said, all of whom requested anonymity to discuss a private meeting. Sources said Wednesday's meeting may skirt the numerous disagreements with the president-elect in favor of a focus on shared priorities. "If he can reform the tax code, reduce regulation, and negotiate better trade deals, the U.S. technology community will be stronger and more competitive than ever," Oracle Chief Executive Safra Catz, who will attend the meeting, said in a statement. Other expected participants include Alphabet Chief Executive Larry Page and Chairman Eric Schmidt, Amazon.com Chief Executive Jeff Bezos, Microsoft Chief Executive Satya Nadella, IBM Chief Executive Ginni Rometty and Oracle, sources said. The CEOs of Airbnb and Uber – which are not publicly traded – were invited but are not attending. Uber's Travis Kalanick, will not attend because he will be traveling in India all week, according to a person familiar with his plans.